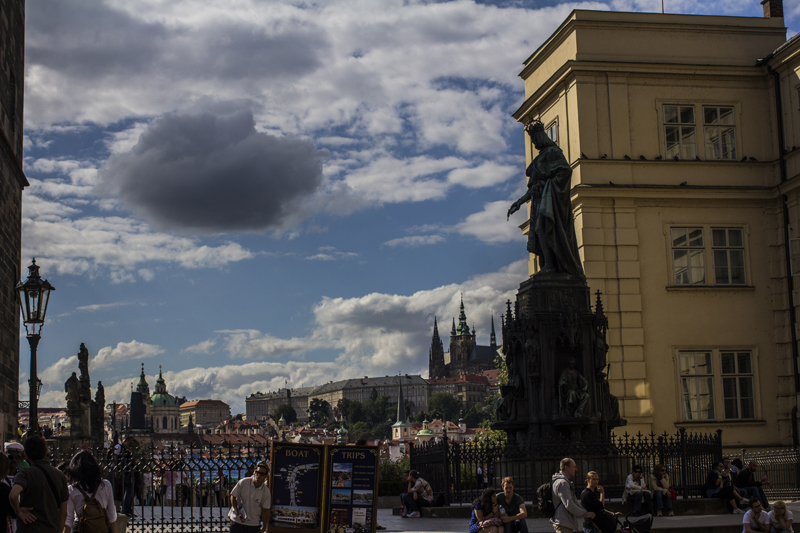 Prague in the summertime is glorious. It’s a city of spires and ancient towers, so when the sun is out, all those famous 1,000 points are glistening and glinting in the sun. 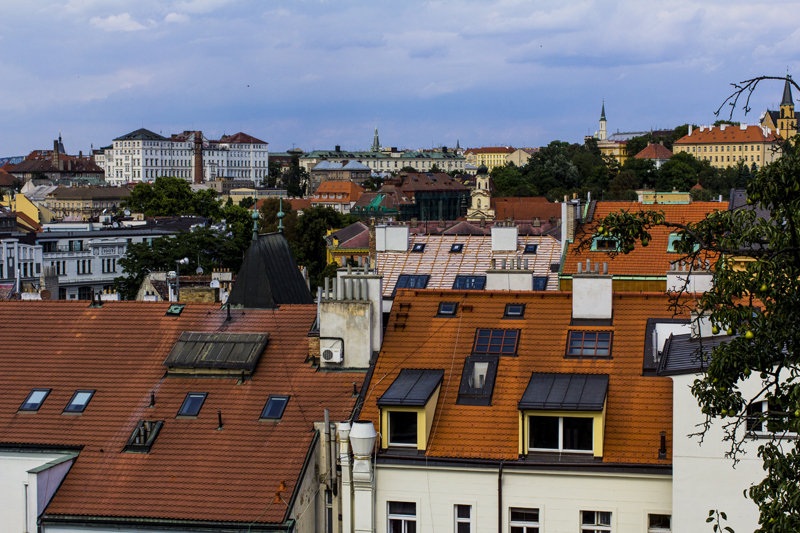 The bright red and orange and yellow roof tiles are clean after the rain and the entire population of the city seems to be out having a good time. 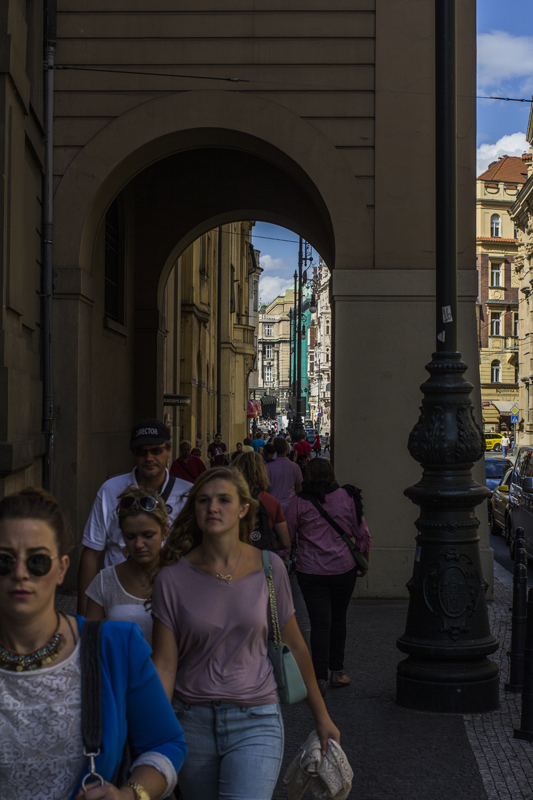 Staying in Prague for a while means you really get to know the place relatively well. Most tourists make it a whistle-stop visit, seeing the highlights and not much else. 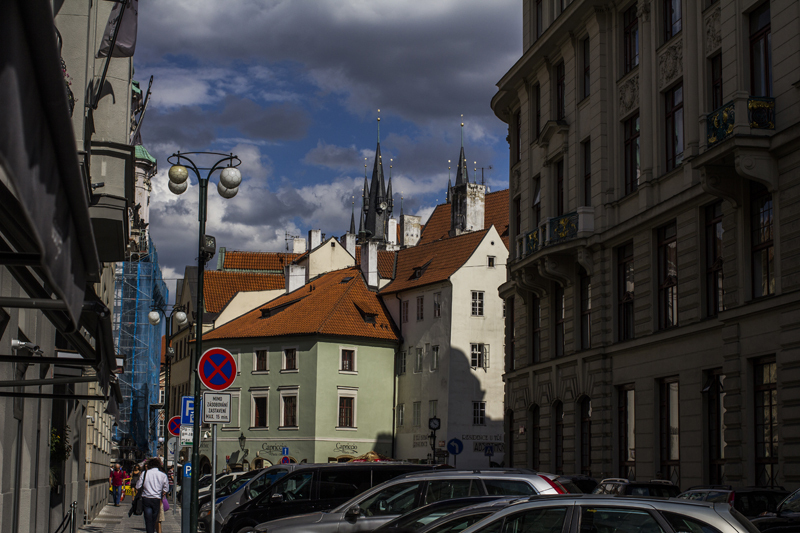 But Prague is so much deeper, and darker. It’s got great figures from history, like General Jan Zizka, who fought the Catholics in the 15th century. He was undefeated in every battle, even after he lost both his eyes to wounds. He finally died of the plague – after which his followers skinned him (it was his dying request) and used his skin to make a drum that was beaten every time a battle commenced. 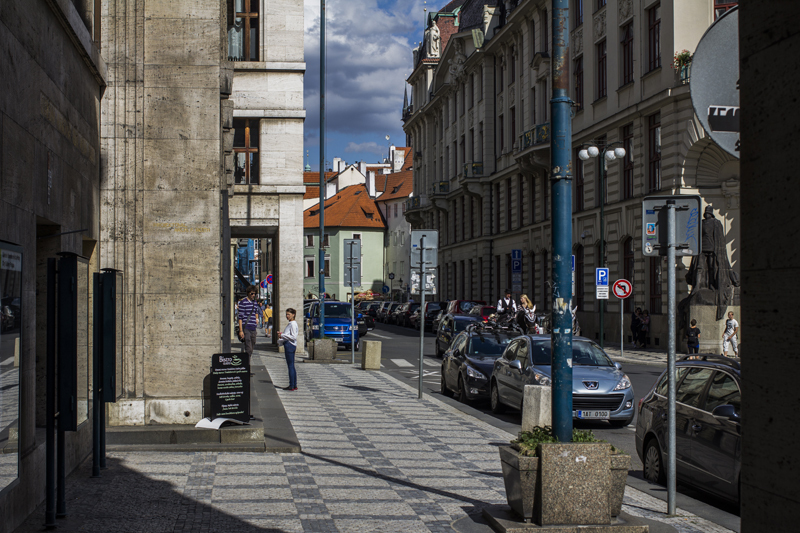 Prague also has funny incidents right out of a dark comedy. Take for instance, the statue of Mendelssohn, the famous classical composer which, along with 40-odd other statues, was on the roof of a concert hall in Prague. 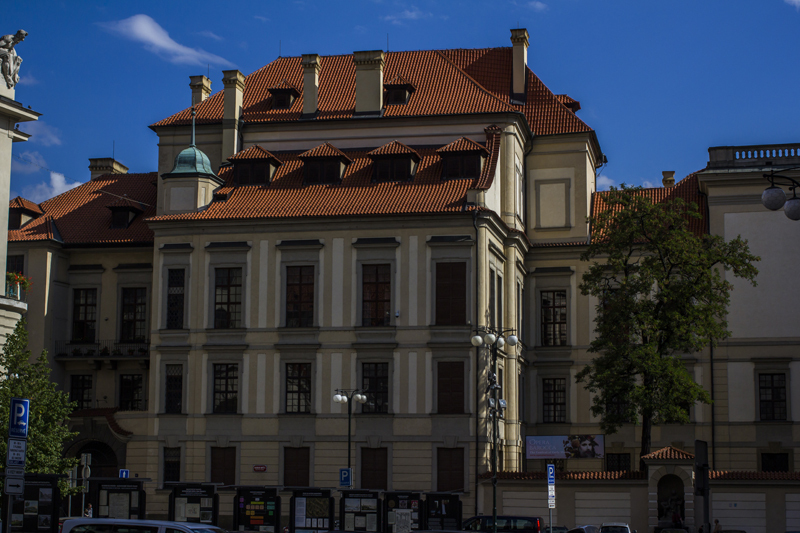 When the Nazis occupied Prague during WW2, Reinhard Heydrich, who was Hitler’s right hand man, ordered Mendelssohn’s statue removed from the roof, since the Nazis had decided to use the building as a headquarters. Mendelssohn was a Jew and the Nazis couldn’t deal with using a building that had the statue of a prominent Jew on the roof. The poor SS men who were sent to remove the statue, however, had no idea who Mendelssohn was. Since the statues were all unlabeled, they decided to measure the noses of all the statues and, finally, ended up removing the statue of Richard Wagner, Hitler’s favorite (and very Aryan) composer. We do not know what became of those SS men who had screwed up in such royal fashion, but Mendelssohn’s statue is still up on that roof to this day. There are literally hundreds of such stories, like that of Hanuš, who built the world-famous astronomical clock in Prague’s main square – his reward for building such a marvel of technology was to have his eyes poked out, his tongue cut off and his eardrums pierced, so that he could never replicate the feat again. The final joke was on the town councilmen who ordered this punishment, though: Hanuš, having nothing to lose or to live for, crawled his way into the workings of the clock and flung himself into the mechanism, utterly destroying it. The clock was only repaired 100 years later, by reverse-engineering Hanuš’ original work. Modern-day Prague is far removed from such barbaric acts, though. 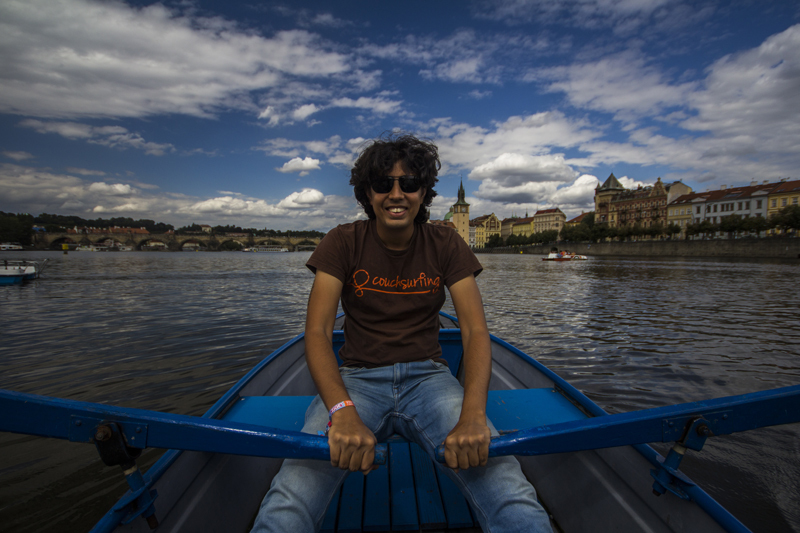 There is boating on the Vltava river, you can walk the Charles bridge in peace (fearing only the pickpockets) and the beer in Prague has improved. My favorite pastime while in this city, in fact, was trying to discover the best Czech beer in the locality. 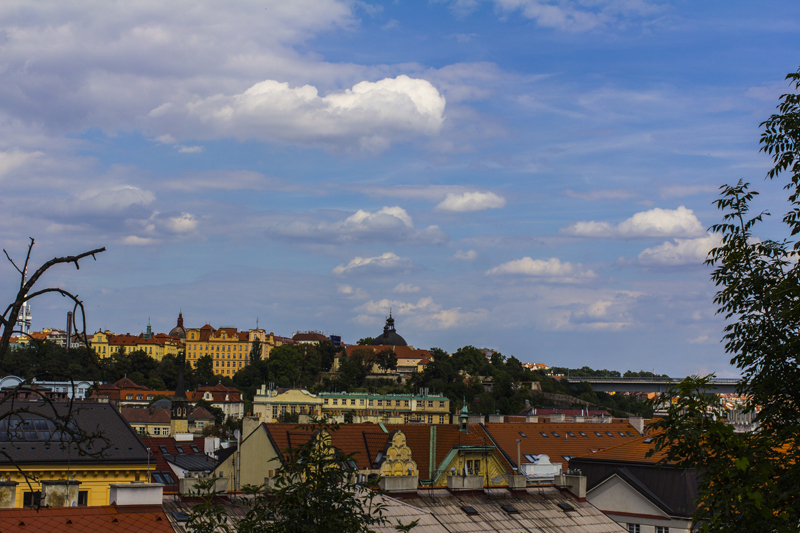 And after sampling many brews, I’ve decided that the best is the Pilsner Urquell – made in the town of Pilsen, it’s THE original pilsner and almost everyone will tell you that it’s the best beer in Prague. BUT what they won’t mention (and I will) is how – or rather where – to drink it. Beer served in most bars doesn’t do the Urquell justice. This is because the kegs used to serve the beer are artificially aerated with CO2, to provide the head. However, at some places (like Lokal, in Dlouha street – my favorite) they serve Pilsner Urquell in the original tanks, brought in from the brewery in Pilsen. Because there’s no extra CO2 added, the taste is as pristine as possible. A close second to the Pilsner Urquell is the local Prague stout, called Kozel. While it’s not as heavy as Guinness, it’s a great drink, cold and filling. Lest you think all my time was spent looking up gory stories and drinking beer, I also managed to do a fair amount of shopping, since Prague is relatively cheap. I bought a new camera and some lenses, not to mention warm clothes for my next destination, Iceland!